Leveraging on our advanced functional facilities, we are immersed into offering a vast spectrum of Oil Refining Plants. 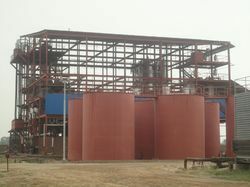 As one of the reputed manufacturers of industry, we are engaged in supplying high-quality Palm Oil Refining Plant. 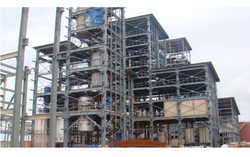 These plants are mainly designed for full refining process that includes Pretreatment & Bleaching Deodorization and Dry fractionation to Produce Olein and Super Olein. 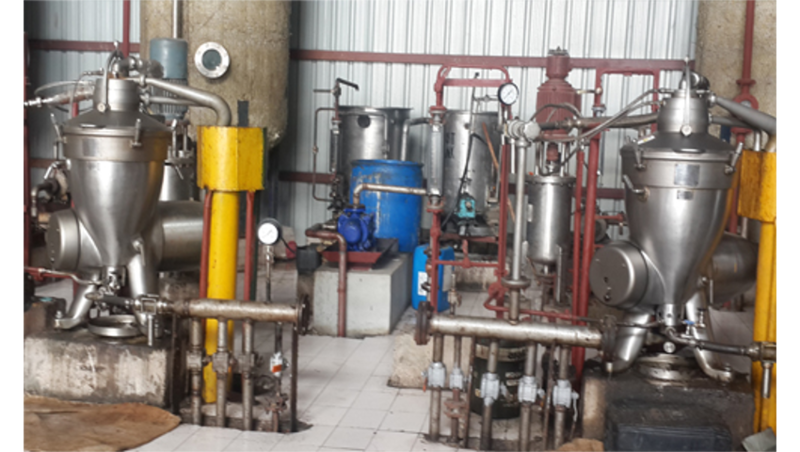 We are offering an excellent quality of Degumming Oil Refining Plant. The process has been developed which utilizes the phenomenon hydratable phospholipids contains polar groups which form a liquid crystal in connection with water. At slight above the temperature, they form a laminar structure which is insoluble in oil and are capable of absorbing other impurities. In the total degumming process, oil is mixed with hot water, caustic lye, phosphoric acid in neutralizing and is given proper retention time in a retention tank so as to convert all non-hydrated gums to also form which forms more stable hydratable gums which can be separated out from the oil by centrifugation. Crude oil is pumped in a continuous and constant stream by pump heated/cooled to a required temperature in the plate heat exchanger NT6, oil is mixed with control quantity of acid /lye and phosphoric acid in a high shear mixer and fed to the neutralizer and then to retention tank. 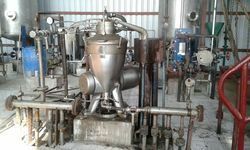 The oil acid mixer is retained for sufficient time to properly condition the oil in retention tank. The oil after conditioning is heated to inactivate and help to separate with centrifugal separator where the oil and hydrated gums are separated. This process has been tried and tested in case of rice bran oil. For other oils like palm & sunflower different route of neutralization, degumming and washing are used as per the feed oil. The process varies from oil to oil and also depends on the source of the oil i.e, whether it is extracted or it is crushed in expeller. After degumming the oil is sent directly to the bleaching process. We are offering a wide range of Industrial Edible Oil Refining Plant. Degumming - Crude Oil is mixed with the acid solution to coagulate the particulate matters & phosphatides & removed with the centrifuge. During the process, phosphatides are converted to lecithin, which has an affinity for water and gets dissolved into it. Washing - oil is washed with water remove the remaining gum with the centrifuge. For soft oils Like soya, sunflower and cottonseed neutralization are also done to get low color specs. The Enzymatically treated oil is fed to bleacher where a calculated amount of bleaching chemical (activated BI. earth & carbon) is mixed with oil under vacuum & filtered with pressure leaf filters. Post - Bleached oil is fed to the deodorisation Plant, to remove the free fatty acid, odour and colour from the bleached oil under high vacuum. 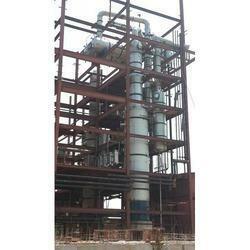 Oil Neutralization Plant is nothing but chemical refining or caustic refining or alkali refining. It is called Neutralizing since free fatty acids present in the oil are neutralized with the help of caustic soda. The process is described under the heading Vegetable Oil Refining. Neutralization can be carried out either as Batch or Continuous process. More details available on request. 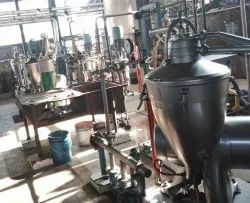 The provided Industrial Degumming Oil Refinery Plant is well-manufactured by our skilled professionals using the best grade raw material and modern technology. Offered plant is widely appreciated by our clients owing to their durable finish and easy installation features. Furthermore, our clients can avail these products from us at most affordable prices. In order to cement our reputation in the market, we are engaged in catering an excellent range of Deodorizing Oil Refining Plant. Our offered range is availed in varied models and other technical specifications to choose from. This assortment is precisely designed at our highly advanced manufacturing unit following industry defined guidelines. This range can also be availed from us at the market leading prices. 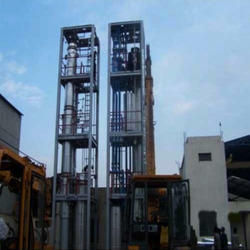 We manufacture Industrial Edible Oil Refinery Plants up to many TPD in skid mounted of different height to fit in the regular size of containers for export. These products are supplied in CKD complete with piping, insulation instrumentation, cabling extra. Buyer needs to assemble at the site on per designed civil foundations, just assemble start. We are offering a wide range of Palm Oil Refining Plant.